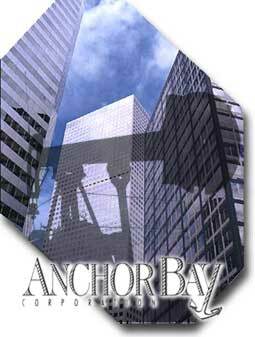 Anchor Bay Corporation is a privately owned oil and gas exploration and production company located in Denver, Colorado. The company has various interests in approximately 150 non-operated wells located throughout the Rocky Mountain region.Most of the ownership in the wells consists of royalty and overriding royalty interests. Approximately 45% of our revenue is generated from oil production while the remaining 55% is from gas production. Anchor Bay Corporation also invests in undeveloped acreage for future oil and gas exploitation in partnership with other oil and gas companies. We look for acreage opportunities with low entry costs, shallow target zones, and multiple pay features. We currently have leased over 35,000 acres in Perry and Crawford Counties, Indiana primarily targeting the New Albany shale but with shallower secondary pay formations.In addition we have leased 20,000 acres on the southern flank of the Uinta Basin in Grand County, Utah.